Hindy's Kosher takeout is Chabad's latest step in providing a kosher option for Jewish travelers. All foods are under the strict Kosher supervision of Chabad of Greensboro and all chicken is Glatt Kosher. 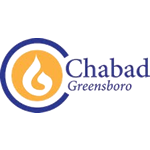 Proceeds of this service will be donated to the Chabad Jewish Center of Greensboro.